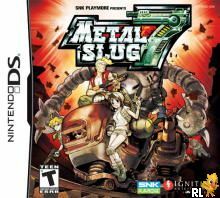 Metal Slug 7 is the same great game you've played since childhood, but all on you're pocket! You can play as six Classic characters through seven levels on three dificulties. As always your goal is to capture the Evilgeneral Morden, but beware! Once you do, is when the real fun begins! The Metal Slug franchise was by far the most consistently decent game of the SNK Neo Geo era. 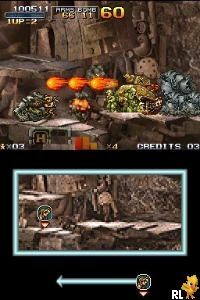 I really enjoyed playing these games on the old MVS arcade cabinets; however, being able to play them on a comfortable handheld, like the DS or 3DS has carried the Metal Slug series on into another decade of new kids to reminisce about playing the same game during their youth. Now you can add videos, screenshots, or other images (cover scans, disc scans, etc.) for Metal Slug 7 (U)(XenoPhobia) to Emuparadise. Do it now!